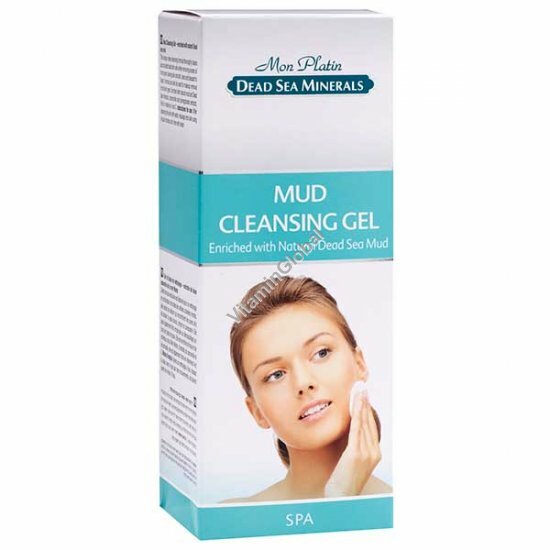 Dead Sea Mud Cleansing Gel - unique, deep cleansing formula thoroughly cleans accumulated dead skin cells while removing excess oil from pores, leaving skin smooth, clean and pleasant to touch. Formula can also be used for makeup removal for all skin types. Enriched with natural mud and Dead Sea minerals, chamomile and pomegranate extracts. Rich in vitamins A and C.
Instructions for Use: After cleansing the skin with water, massage onto skin using circular strokes and rinse with water.